Saturday, September 01, 2018 - While most big names in Uganda’s music scene have publicly supported fellow musician turned firebrand politician, Bobi Wine, Moses Ssali better known as Bebe Cool has been silent. Bebe Cool has been accused of supporting the tyrannical Government of President Museveni. His dalliance with dictator Museveni landed him in trouble on Friday at a concert in Kampala as revelers booed him off stage. 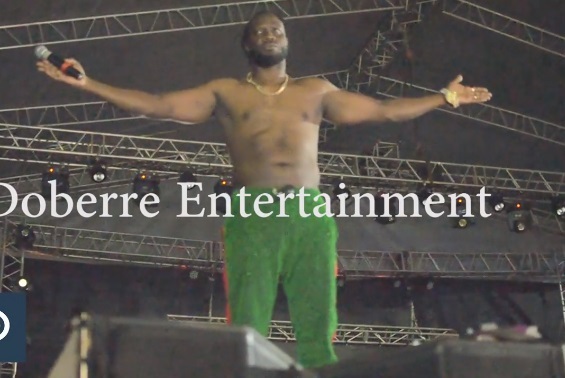 Bebe Cool had to be rescued and whisked to safety by police officers as revelers hurled bottles while chanting ‘People Power’ in solidarity with Bobi Wine who has been flown to the US for specialized after he was tortured by the Ugandan army. Bebe Cool’s father once served as a Minister in Museveni’s Government hence his loyalty to the dictator.